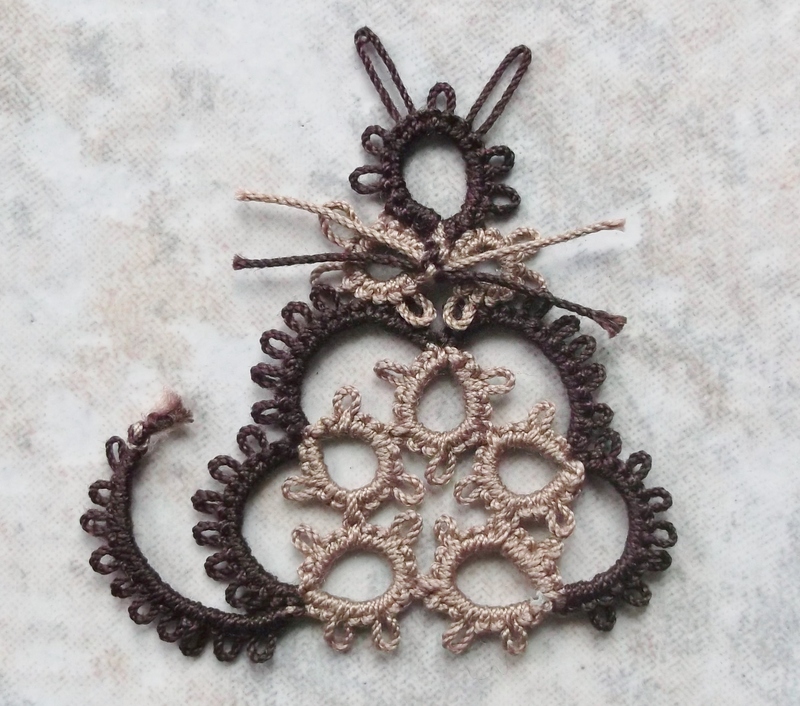 This week’s challenge pattern was designed by Marilee Rockley (Yarnplayer). She is a very talented designer and even hand dyes thread! She has happily let us use one of her free patterns for this challenge. 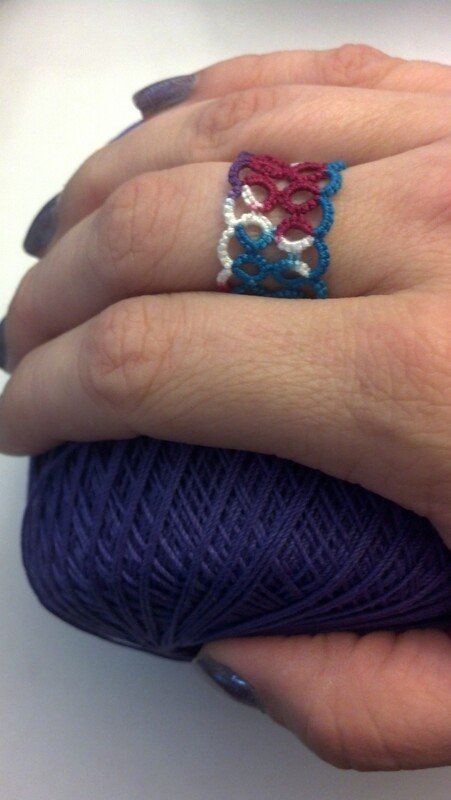 This is a great pattern for a pretty ring made of tatted rings (and a few chains). 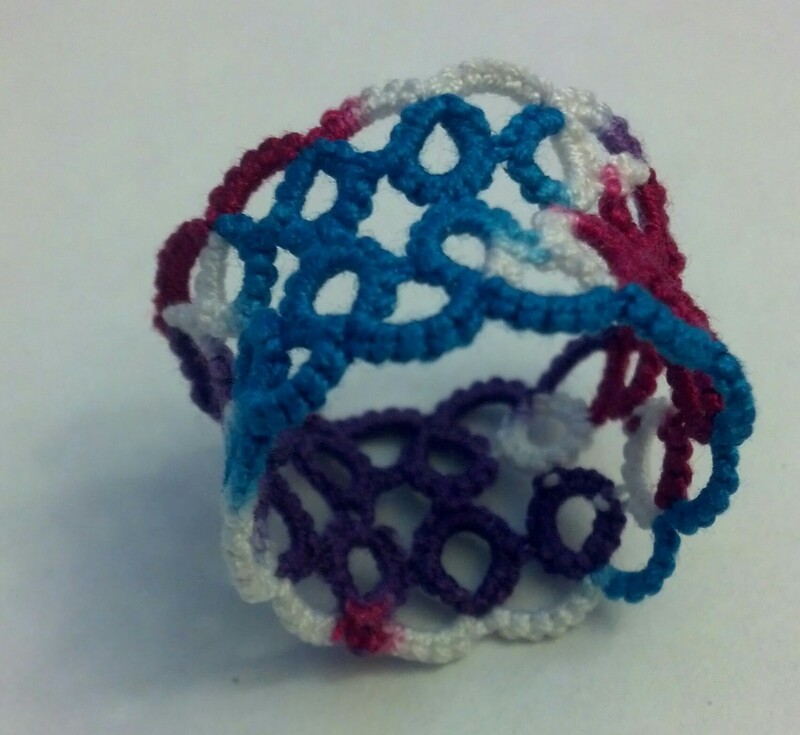 Weekly Challenge #6 – Yarnplayer’s Remembrance ring tatted by Natalie Rogers. Lizbeth thread size 20 color Jewels (113). If you are up for an extra challenge try to work the ring continuously. If you start on a chain, instead of the ring, you can end the first round with a split ring (just make sure you connect the starting and ending chains of round 1 together before you work the split ring). Then you begin round 2 with a split ring and continue around as the pattern instructs. This is what I did, because I wanted the fewest amount of tails to sew in at the end. Challenge Accepted – Reader Submission for Weekly Challenge #6 – Yarnplayer’s Remembrance Ring tatted by Marie McCurry. This one was done with two strands of metallic, sewing thread. The ring is a size 5.